A warning from the Trinidad-based Caribbean Public Health Agency (CARPHA) to the Caribbean, to be prepared for the â€œfull impactâ€ of the mosquito-borne Chikungunya virus. It is eight months now since the first case was detected. CARPHA executive director Dr James Hospedales told the Caribbean Media Corporation (CMC) that almost all Caribbean Community (CARICOM) countries have now reported cases of the virus. â€œThere are a total of over 9,000 confirmed cases. There is an estimate in excess of 600,000 cases in total, most of those being from the bigger countries like the Dominican Republic and Haiti with 37 deaths in total. â€œSo it continues to spread, we will have an expert consultation next month to look at all the plans and also to see how we better inform and protect people and protect the economy of the region,â€ Dr. Hospedales told CMC. He said that Caribbean governments were making a â€œvaliant effortâ€ in dealing with the virus, adding â€œwhat we have been doing has not been sufficient and the increase of dengue that we have seen in the last years is a marker that what we are doing is not working as well as it ought to work. â€œThatâ€™s partly why we are having this experts meeting next month to look at whatâ€™s new in terms of the science and how can we better educate people and how can we deal with the mosquitoes that are so prevalent,â€ he added. Chikungunya is a viral disease, carried mainly by the Aedes Aegypti mosquito and causes a dengue like sickness. 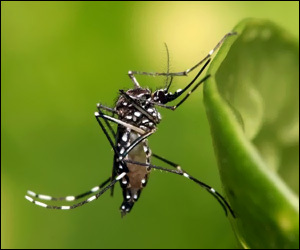 The symptoms appear between four to seven days after the bite of an infected mosquito. The majority of clinical signs and symptoms last three to 10 days, but joint pain may persist longer. Severe cases requiring hospitalization are rare. Last December, CARPHA said it was working closely with the French and Dutch authorities after the region recorded its first ever case of Chikungunya and the Trinidad-based agency said it had received notification of 10 confirmed cases of locally acquired Chikungunya virus infection on the French side of the Caribbean island of Saint Martin. Dr Hospedales told CMC that with a population of 17 million people, the region is still in the early stages of the virus, warning â€œthe full bloom of Chikungunya virus is yet to come. â€œI am saying because everybody in this part of the world and there is no resistance to this virus and we have an abundance of the vector and we have a lot of movement. In six months it has moved to all the islands and we can expect further increases in levels of cases based on what has happened elsewhere in the world where in some countries you find a 30 per cent attack rate of the entire population within a year or so. â€œSo (adhere) to the message that all the governments have been putting out to reduce the breeding of mosquitoes around the home and very importantly for somebody who thinks they have Chikungunyaâ€¦that they take measures to avoid being bitten by mosquitoes to avoid spreading it to their families and neighborsâ€. He said those individuals should stay under a mosquito net for the few days they are sick, use insect repellent and destroy any breeding around the house as well as spraying inside the house to knock down any female mosquito that may have bitten the person who is infected.